GU Gels pack calories in to a portable form to help sustain energy demands of daily training sessions and competition. The gels contain carbohydrates (maltodextrin and fructose) to help maximize absorption and utilization while diminishing stomach distress. Each gel contains between 20mg - 40mg of added caffeine. Lemon Sublime, Strawberry Banana, Gingerade, Birthday Cake, Toasted Marshmallow and Campfire S'mores are caffeine free. Love this flavour it's delicious. My favourite. Forewarning this is super sweet but super tasty. I'd heard mixed things about this flavour but it is nice and not too overwhelming. Currently training for the marathon and these are the BEST gels I have tried yet! Keep me going for a good 5/8 miles until I need another boost - used two on my eighteen miler last Sunday and really worked. It's taken me a while to find a gel I can stomach. 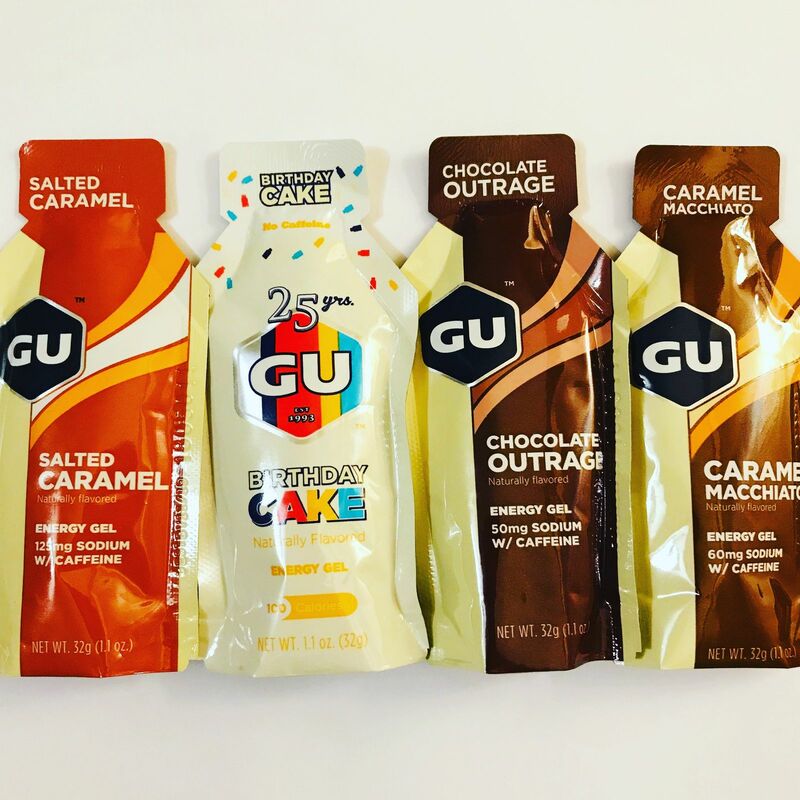 Whilst gu gels have a thick consistency they go down easily and taste a bit like eating melted chocolate. Somehow that works!